(TibetanReview.net, Aug02, 2018) – China has on Jul 31 urged the United States against allowing Taiwan President Dr Tsai Ing-wen to transit its territory during her visits to Belize and Paraguay next month, reported Reuters Jul 31. Beijing considers democratic Taiwan a renegade province of its version of “one China”, ineligible for state-to-state relations and that needs to be reunited with the mainland by force if necessary. Taiwan, especially when ruled by the rival Kuomintang nationalist party (KMT), has its own version of “one China” under which the island calls itself the “Republic of China” as against Beijing’s “People’s Republic of China”. Beijing insists that Taiwan adhere to its version of “one China” while Taipei, especially under KMT, insists this is not possible without a democratic China that fully respects human rights and the rule of law. China suspects that the ruling Democratic Progressive Party (DPP), to which Tsai belongs, entertains a goal of being able to declare independence. Like her DPP predecessors, she has refrained from endorsing the “one China” policy while not explicitly rejecting it. The KMT, on the other hand, do not have a problem doing so, and the island under its presidency had enjoyed much better economic ties with Beijing. China considers Taiwan the most sensitive and important issue between it and the United States. It has regularly complained about transit stops by Taiwanese presidents. 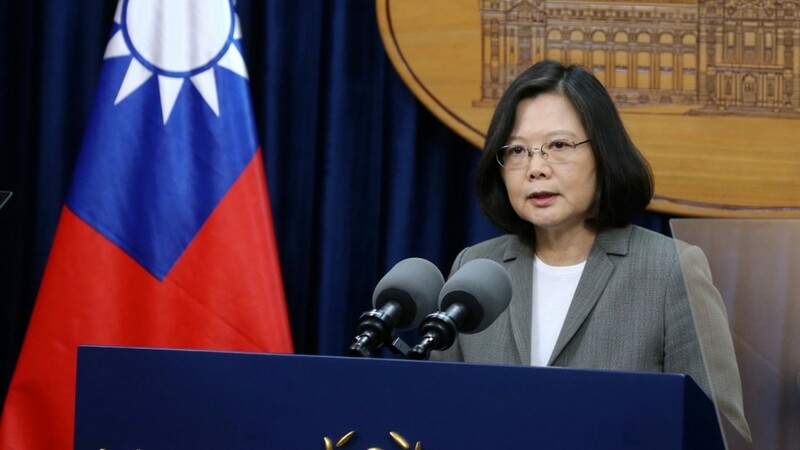 Taiwan announced Jul 30 that Tsai would travel to and from its two diplomatic allies via the United States, a standard procedure for visits by Taiwanese presidents to Latin America. Tsai transit stops in the United States would be Los Angeles and Houston, although no exact dates have been announced. At a daily news briefing in Beijing, Chinese Foreign Ministry spokesman Geng Shuang has said his government had already lodged solemn representations with Washington about the planned transits. China urged the United States “not to allow the transit of the leader of the Taiwan region, and not send any wrong signals to Taiwan independence forces”, he has said. Taiwan has official ties with 18 countries worldwide, many of them poor nations in Central America and the Pacific such as Nicaragua and Nauru and China has been poaching on them with financial incentives. The United States has no formal ties with Taiwan. However, it is the island’s main source of arms and strongest unofficial diplomatic backer, to Beijing’s immense anger. It is believed to be ready to intervene in case China moves to invade the island.